Pierre Guerin SAS, an international company leader into the design of Biotech Upstream Equipment and Turnkey Systems and Winatech Process Engineering Co., Ltd, a Chinese company involved in the design and manufacturing of Process Equipment for the Biopharmaceutical industry, jointly announced today an alliance for the development of sales, production and installation of Biopharmaceutical equipment and turnkey systems for China market. This alliance will combine Pierre Guerin’s knowledge of numerous applications gained from several decades experience for the production of biological & sterile products with Winatech’s expertise on facilities engineering & validation services. 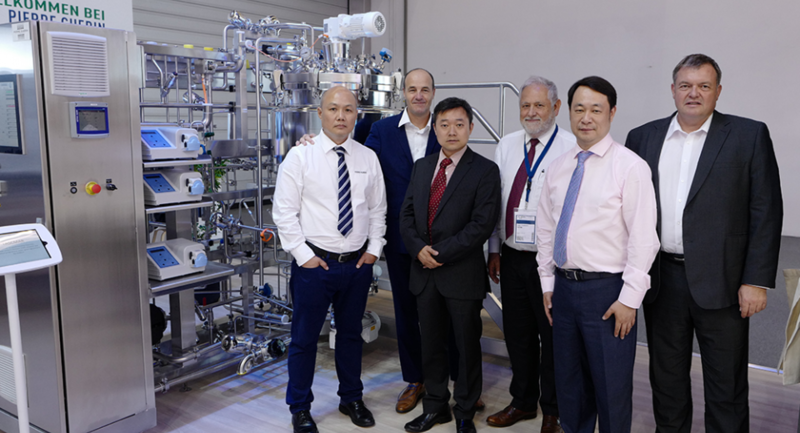 It could be also involved for supplying Formulation Units and turnkey formulation systems for the Pharmaceutical industry. Pierre Guerin President, Jean Christophe PIETRI, said, ‘Our main focus is to provide our customers with full support satisfying their needs. Our goal is to meet and even exceed expectations and to bring tangible benefits for our clients. The Pierre Guerin Objective: always a collaborative success’. A leading international equipment supplier, Pierre Guerin designs and produces a comprehensive range of stainless steel equipment and process lines for the Life Sciences industries. Fermenters and bioreactors, stainless steel storage vessels, filtration units, MCD™ mixers for health care, CIP units, control systems, Pierre Guerin offers a wide-ranging solution for biopharmaceutical and personal care processes. In 2014 the company has created PG China, a Shanghai based subsidiary, in order to increase process equipment sales in the biotechnology sector in China. PG China plays an important role by supporting the GMP industrial installation projects to the leaders of biopharmaceutical market. Winatech was set up by engineering professionals coming from reputed international pharmaceutical engineering firms. We focused on facilities engineering service and validation service for international pharmaceutical companies & export manufacturers. Our business includes cGMP compliance services and design (Concept Design, Basic Design, Detailed Design), design, construction and validation of clean utilities (USP purified water, WFI, Clean Air, N2) and production equipment (Compounding, CIP, SIP and Automation System). We offer a cost-effective service which can still meet the cGMP requirement.